Convicted Charleston church shooter Dylann Roof was given nine consecutive life sentences in state prison after he pleaded guilty to state murder charges Monday, leaving him to await execution in a federal prison and sparing his victims and their families the burden of a second trial. 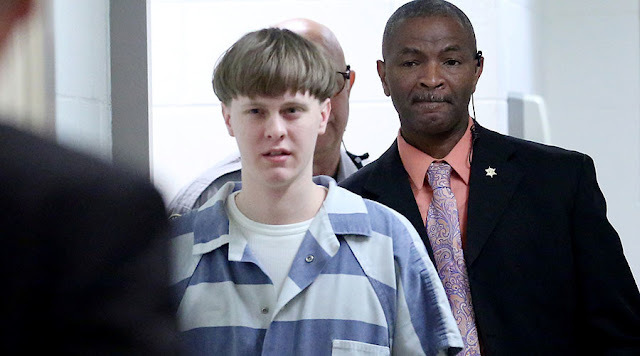 Judge J.C. Nicholson imposed the sentences following a hearing in which church members and Roof's grandfather testified about the personal toll of the case. Standing at the defense table with his attorneys, clad in a gray and white striped jail jumpsuit and handcuffed to a chain at his waist, the self-avowed white supremacist entered his guilty pleas. Under a plea agreement, Judge J.C. Nicholson sentenced Roof to life in prison on the state murder charges. The deal with state prosecutors, who also had been pursuing the death penalty, comes in exchange for a life prison sentence on the state charges.